The calibre of great business conduct – exceptional customer service – is not measured when things are going well, but rather, when they don’t. The one job we all share, as we discovered last week, is to manage expectations. This means meeting or exceeding the expectations of our customers, clients, suppliers, stakeholders and all those who have any connection to our success. And there are times when we will all fail to do so. What we do and how we conduct ourselves in those times speaks volumes about our values and professionalism and, perhaps more so than at any other point in our relationships, determines whether the relationship will continue successfully or wither and die. Last week I spoke of a salesperson who scheduled an appointment with me, arrived 45 minutes late, offered no apology and proceeded to begin a sales presentation as if all was well with the world. When I asked him to leave, and explained why, he seemed genuinely perplexed, as if he could not understand why I was upset by his tardiness. There is a formula, tried, true and proven, that if we follow when we have not met the expectations of others, will go a long way to mend any damaged fences and will very often turn a damaged relationship into a thriving one. It is this: Mess up, Fess up, Dress up. Simply put, it means that when we mess up – and we all do, and will keep doing – intentional or not, we have only one viable and correct choice to make. That choice is to acknowledge the problem, apologize and then do whatever is necessary to meet, and wherever possible, exceed the expectation. In other words “dress up” our behaviour so it does meet the expectations where we previously failed. Unfortunately, most often, for reasons known only to ourselves, we will not make that choice, but rather instead we choose to not admit our role, or the role of others in our organization, or the failure of a system, or any course that has led to the unmet expectation. It never fails to amaze me when customer service is poor, how often we are provided with detailed explanations, frequently topped with redirected blame, as if our knowing the cause of our dissatisfaction somehow mitigates the problem, and instantly turns the relationship back on course. It does not. I have worked with companies where the culture is to “never apologize, never admit fault,” because of a prevailing -and dead wrong- belief that to do so is a sign of weakness. I recently read of a lawsuit in US. A doctor who had misdiagnosed a patient was being sued for malpractice. This is “bad customer service” in its most extreme. The plaintiff was seeking an enormous sum of money. When interviewed after the trial she told the interviewer she would never have considered lawsuit because “doctors are human, and we all make mistakes.” If only the doctor had the decency to apologize. We are, for the most part, forgiving people and when we feel our concerns are being not just listened to, but heard, and that genuine effort is being directed towards resolving our issue, our anger quickly dissipates, often turning into genuine appreciation. An old piece of wisdom tells us that someone happy with their customer service may share their experience with 25 people, but a disgruntled customer will share their experience with 250 others. The numbers may not be accurate , but I’m convinced the ratios are close. 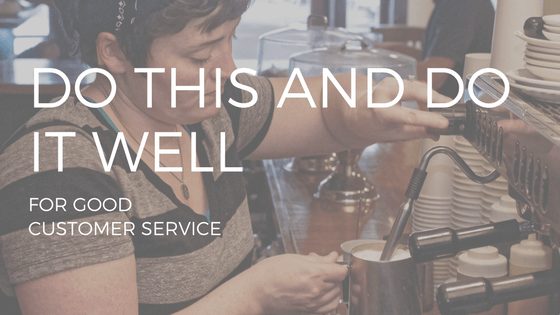 When we mess up, then fess up and then earnestly and sincerely dress up, we may not have developed a new cheering section, but we almost certainly will have limited the number of people with whom our customers experience will be shared. And perhaps to him it wasn’t, but it was to me. Mess up, fess up, dress up only applies to those who understand its significance. To those who don’t, they will never understand why so many business opportunities are lost and customers take their businesses elsewhere. Mess up, fess up, dress up should be the mantra posted in large letters on every wall in every organization because we never have a better time to shine then when we appear to be at our dullest.